1/23/06 IEL Public Informational Meeting with Experts | Concerned Citizens Lake Twp. 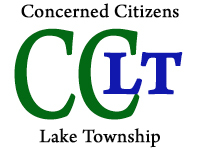 Thank you for attending tonight’s forum to report to the public the findings of the four experts hired with a $50,000 grant awarded to Concerned Citizens of Lake Twp. by the Citizens’ Monitoring and Technical Assessment Fund. This Fund was established as a result of a 1998 settlement agreement between 39 environmental plantiffs and the Dept. of Energy. While the Uniontown IEL is not currently listed as a Federal site, the national panel with the MTA Fund believed that there was enough evidence of man-made radiation to make this award to our group. Dr. . Ketterer is a Professor of Chemistry and Biochemistry at Northern Arizona University. His research work specializes in studies of environmental radioactivity and studies of radioactivity from human causes. He does extensive work with “fingerprinting” of the sources of uranium and plutonium using isotope analysis procedures. Ketterer received his B.S. in Chemistry at Notre Dame and a PhD in Analytical Chemistry from the University of Colorado. He worked as a chemist at US EPA’s forensic laboratory from 1987 to 1993, and conducted many studies of contamination at Superfund Sites. From 1993 – 1998 he was Assistant Professsor of Chemistry at John Carroll University; since `1998 he has been NAU in Flagstaff, Arizona. Dr. Ketterer has published 40 peer-review papers including 12 dealing with environmental radioactivity. He recently completed studies of plutonium “fingerprinting” from Chernobyl in eastern Europe and in Spain from the 1966 Palomares accident. Dr. Baskaran holds a PhD in Geochemistry and has worked extensively in the field of Environmental Radioactivity over the past 27 years. He is currently an assistant professor at Wayne State University in Detroit. He has published over 70 articles in peer-reviewed international journals, boo-chapters, over a dozen articles as Reports and Proceedings in National and International Meetings, and over 65 published abstracts presented at those meetings.Dr. Baskaran has given over 30 invited talks at various institutions around the globe, including academic institutions and National DOE Laboratories. Some of the major research projects conducted in the past 15 years pertaining to Environmental Radioativity include the following: a) Assessing the impact of Chernobyl accident in the Alaskan Arctic; b) To determine the sources of Plutonium and other anthropogenic radionuclides in the marginal seas of the Russian Arctic; and c) To assess if there is leakage of Plutonium and other radionuclides from the Amchitka nuclear tests to the adjoining Bering Sea. In addition, Dr. Baskaran was a consultant for a Citizens Advisory Group to evaluate the threat of the Mixed Landfill Site adjacent to Sandia National Laboratory, Albuquerque, New Mexico. Dr. Julie Rice is a Senior Scientist at Bennett and Williams Environmental Consulting Firm of Columbus, Ohio. Dr. Rice is an Adjunct Assistant Professor at the Ohio State University Dept. of Food, Agriculture and Biological Engineering. Dr. Rice serves as the c0-coordinator of the Ohio Fracture Flow Working Group, member of the Ohio Academy of Sciences. She is a certified soil scientist and certified professional geologist.. Dr. Rice has published numerous papers related to her field. Her fields of special competence include: Geomorphology, stratigraphy and hydrogeology and mapping (both soils and geologic ) with special emphasis on Pleistocene geomorphology, physical and chemical properties of materials (both soils and parent) and ground water movement investigations with GIS systems applications; Ground Water Protection; Aquifer Characterization and Modeling; Wellfield Development; Solid, Hazardous, and Radioactive Waste Landfill Siting studies and several additional areas as well. Linda Aller is Principal Geologist with Bennett and Williams Environmental Consultants, Inc. of Columbus, Ohio. Ms. Aller is a Registered Sanitarian and a certified hydro geologist with the National Ground Water Association. Ms. Aller has published state-of the art documents on evaluating ground-water pollution that are being used extensively by federal, state and local governments and private concerns to prioritize clean-up, monitoring and capital expenditures. Additonal state-of-the art publications include design and construction practices for ground water monitoring wells, ways to locate abandoned wells and methods to ensure mechanical integrity of injection wells. She has been involved extensively with a group that is compiling and publishing state-of-the art research on fracture flow. Ms. Aller has conducted field investigations to troubleshoot soil and ground-water contamination incidences and to evaluate clean-up otions fro brownfields.She is also involved with well design and wellhead protection.